SIMPLETEC 3 T Single Arm Electro-hydraulic Telescopic Davit is free standing mounted on a heavy base plate, which can be bolted to the ship deck stool. 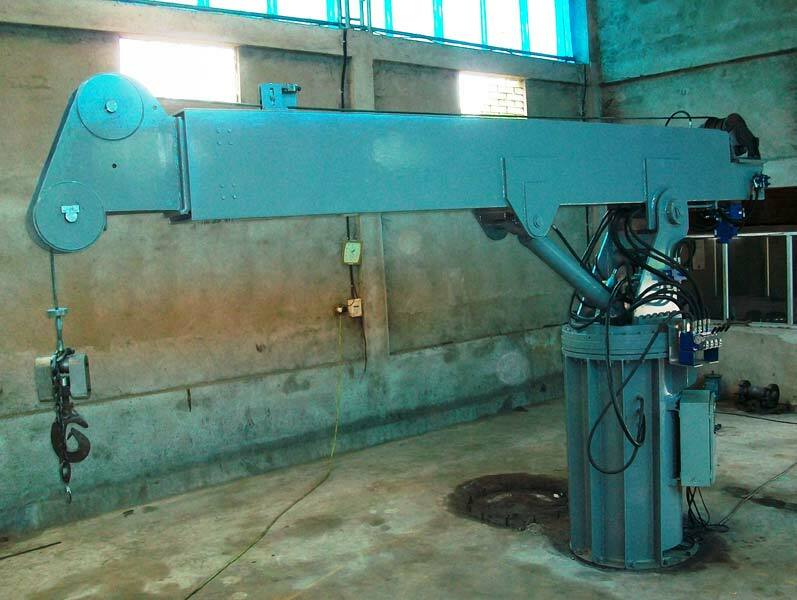 It has working radius of 7,200 mm and the minimum span is 1,250 mm, with 330º slew. The Davit is mounted on slew bearings, specially selected for heavy duty crane operations. The system is of robust design.